The Biennale of Sydney has been successful for 19 years, seeing huge numbers catch ferries over to Cockatoo Island. This year holds the title “The 19th Biennale of Sydney: You Imagine What You Desire” and was directed by curator Juliana Engberg, who hails from the Australian Centre for Contemporary Art, Melbourne. 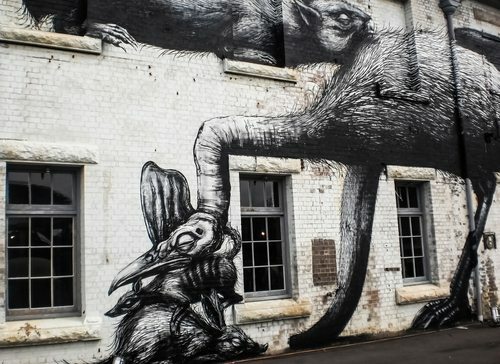 While the majority of the exhibition is at Cockatoo Island, you can also catch glimpses at Carriageworks in Eveleigh, Around the City on York Street, the Museum of Contemporary Art in The Rocks and the Art Gallery of New South Wales on Art Gallery Road. The Biennale of Sydney opened on 21 March and will run until 9 June. The Biennale has two main parts. On one hand, it is famous for big-name, international artists that are making modern, on-trend statements. On the other hand, it is a chance for local artists, both new and already established, to show their works to a wide audience. The Biennale of Sydney plays host to such international artists as Scottish Douglas Gordon, Japanese Sol Archer and German David Claerbout, while local names include Callum Morton, Michael Cook and Angelica Mesiti. Turkish artist Meriç Algün Ringborg has created a library of books that have never been borrowed from the Sydney Mechanics’ School of Arts Library. Persijn Broersen and Margit Lukács, both from The Netherlands, work together to create the film Mastering Bambi (2010) that re-creates scenes from the famous Disney film, yet is curiously devoid of any living creatures. Libia Castro and Ólafur Ólafsson collaborate with refugees to embed their audial stories into beautiful sculptures that are crafted from found objects and large amounts of sticky tape. The exhibition is said to look into the past and explore future worlds and possibilities, while delving into the reasons why artists are compelled to create. It is also designed to remind us that art is never completely separate from culture, politics and society.